What tips would you like to tell your teachers to make your life, as a student, better? And, interestingly, his answers were straightforward and made pedagogical sense! I don’t really know what to study because I don’t understand what happened in class today. I don’t know what my teacher wants me to do! I get too much homework! The test wasn’t at all what I expected – it was so hard, I flunked it! Let’s investigate Teddy’s responses, one-by-one, and see how, as educators, we can improve students’ academic lives. The first way teachers can improve students’ academic lives is to be “transparent.” Providing students with crystal clear learning targets not only give teachers a direct focus toward the goal of the unit, but also provides students with a clear vision of the critical skills and standards of the unit of study (Implementing the Common Core, 2010). According to Moss, Brookhart, and Long, Knowing Your Learning Target enables students to understand “the destination for the lesson – what to learn, how deeply to learn it, and how to demonstrate their new learning.” At the beginning of each unit, clearly explain the learning targets. Pre-assess using a formative assessment that delineates the standards of proficiency. (See my colleague’s 9/17 blog for an example of such a formative assessment). As the unit evolves, continue to discuss, emphasize, and develop those skills and standards through the unit plan. -Write the learning targets on the white board for all students to see. -Include the skills and standards on each handout and unit activity. -Monitor student proficiency through formative assessments. By the end of each unit, each student should be able to demonstrate proficiency on the crystal clear learning target. Again, learning should be transparent and not mystifying. Let’s face it – homework is a necessary part of education, but its purpose should be to advance student learning. Let’s focus our lens and think about the homework we assign. Quality: Is it busy work? Does it reinforce important skills and concepts? Quantity: Does it take hours to complete? Did the homework advance student learning? Keeping the conundrum of homework in mind, I read an interesting New York Times article entitled “The Trouble with Homework”. Author Annie Murphy Paul gives several suggestions for ensuring that homework successfully advances student learning without being hours of mindless busywork. I always tell my students and my son, that learning takes repetition. Those multiple repetitions best improve memory when they are delivered in short segments and are spaced over time. One long cram session does not help embed skills and concepts in a student’s mind. 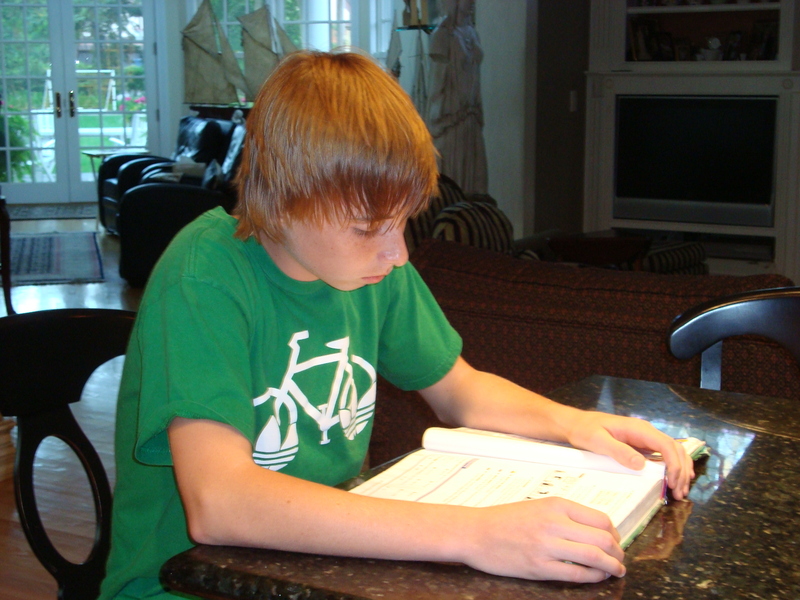 So, how can students practice retrieving information during homework sessions? An example of an effective online tool is Quizlet.com, a website that enables both students and teachers to input essential information. Once the information has been entered, Quizlet provides students with multiple opportunities to self-quiz in the forms of flash cards, interactive online games, as well as sample quizzes. To see an example of a quizlet I created for the retrieval practice of Literary Terms, click on 7th Grade Language Arts. Don’t trick me when you test me! What is your purpose of student assessment? To input grades into an electronic gradebook? NO! To measure knowledge of trivial facts? NO! The fundamental purpose of assessment is to measure student proficiency of crystal clear learning targets that have been clearly stated and developed, reinforced through meaningful class work and homework, and finally measured via sound assessments (Implementing the Common Core, 2010). This fall upon attending Parent Open House at my son’s middle school, a parent asked the science teacher, “What are your tests like?” After a moment of thought, Ms. M responded, “When students have been engaged in the unit of study, they are not surprised by the unit assessment. The assessment measures student proficiency in the skills and standards we have been studying. Most students think science tests are ‘easy A’s.’” Hooray for Ms. M! So what hints can we follow so students feel like our tests are “easy A’s”? -Sound assessment measures skill growth, not just content knowledge. -Formative assessments administered before & during the teaching process guide and improve teaching and learning (Ainsworth). Need a resource to help restructure curriculum? Implementing the Common Core will provide a framework to revitalize curriculum. Please follow Core 4 All on Twitter @core4all. Subscribe free for latest blog posts. If you are interested in the Core 4 All Network providing professional development training in the areas of curriculum design, assessment creation, school curriculum restructure, or Response to Intervention, please contact us at training@core4all.com. •A specific and measurable “Aim” for the day (connected to standards). •A “Do Now” or opening activity that immediately engages students in writing for two to five minutes. •The homework assignment due the following day.